Wow, I feel better aftur those ZZZZ's! "Amber you're a little porker!" Seriously, she called me a porker, can mew believe it? Then she said. "I'm getting you some super low-cal diet food from the vet!" Like OMC, anyone would think I weighed a ton. Then she added. "Because Amber, you weigh a ton, I can barely pick you up!" The absolute indignity of it, but is that an imperial ton or a metric tonne? She said, "Amber a ton is a ton, stop living in denial and face facts, you're a porker!" But if it's a metric tonne then actually it's lighter than an imperial ton by 35 pounds, so am I the lighter metric or the heavier imperial tonnage? The P.A. stared at me and I just knew what she was going to say. "Amber you know we work in old school measurements here, so you're on the imperial scale!" DRAT PHOOEY AND BIG HAIRY PANTS! 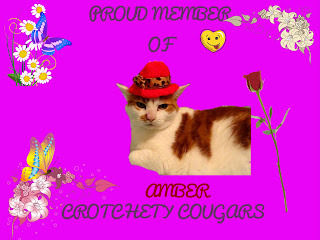 Thank Mew Most Sincerely To My Sisfurs Of Crotchetiness! Where to begin, this is an epically epic fantasy/sci-fi story and by epically epic I mean the narration was offur 17 and half hours long, so we're treading in the realms of Tolkien here. But even so this was a really good gritty tale, a real story, proper old school style. Full of magic and mystery as our wizard team has to save the world from an unimaginable evil. 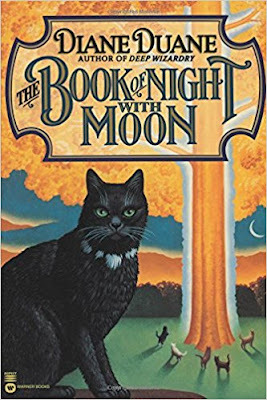 The characters are furry well crafted, the entire story is woven in such a way mew'll have to read/listen to it as fast as mew can. I did find some of the names a little confusing to start with but like in any great saga aftur a while mew get used to them. So would I recommend this novel to mew? Yes I would but only if mew love fantasy and sci-fi, if those genres are not your style then mew won't enjoy this story at all. As I love sci-fi and fantasy novels this was a truly stellar find fur me! And don't furget mew still have time to enter The Saturday Special Give-Away, there's 2 gorgeous cushions up fur grabs! 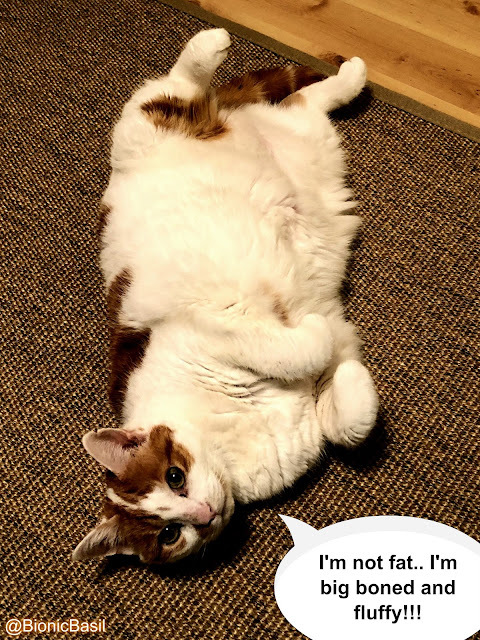 We like to say that we're fluffy not fat around our house. I'm sure it was just the lighting and the odd camera angle that made you look a little... ummm...larger than usual. We do like Science Fiction and fantasy, so this book sounds like one we'd like to read. As for your weight, Amber, how dare the P.A. even go there. You're just pleasantly plump for the holidays, and that's that. You do have beauteous markings, Amber...that is all I see when I gaze upon you...and um...well, lets just say you are too far from us to try to pick you up to 'size you up'! Now *he* was a porker...but its not bad to call a boy kitty a porker, is it??! MOL,MOL!! !